FIFA is a very ominous name to the causal reader or follower of soccer. To the gamer however, the name FIFA is a signal that the best interactive soccer experience is upon us. Electronic Arts has been publishing the FIFA series for years and as those years wear on, players demand new, improved experiences. That is the challenge of an annualized franchise. To create a product that is both fresh and true to the vision is challenging. Criticisms of being just a "roster update" or "slightly better graphics" are something that developers must deal with each year. To that end, Gameplay Producer, Kantcho Doskov was kind enough to sit down and answer a few questions regarding this year's iteration of the game and why it may be the best soccer experience to date. After the successful reboot of the FIFA Street franchise, FIFA 13 offers even more. Of particular interest in this interview was Major League Soccer's relationship with the video game juggernaut. The relationship has developed and brewed over the years. Even now it continues to grow. Luke Lohr: Currently in the gaming world, FIFA's greatest competitor is the Pro Evolution Series, which is respectable in its own right. However, in recent years, EA and the FIFA team have made substantial improvements to the FIFA series to bring the series back to the forefront of soccer fans gaming ambitions. Can you talk about the evolution of FIFA since the 2010 revitalization? Kantcho Doskov: "FIFA’s transformation started in 2007, when the development team decided to build a new game engine that could harness all the power of the current generation of consoles (Xbox 360 and Ps3). It took three years of hard work, innovation, and focusing on the fundamentals until we were happy with the core gameplay. 360° Dribbling was one of our biggest improvements in Fifa 10, giving you the freedom to dribble in any direction, and elevated FIFA to a 90 rated game for the first time in our history." "In Fifa 11, we decided to focus primarily on AI improvements in order to get more personality into the game, and although Fifa was fundamentally solid by that time, we knew that there were technical limitations that hindered us from getting to the next level of quality. We wanted to get more realism and physicality into the game, so we decided to take on a new challenge and revolutionize the game engine once again. The Player Impact Engine took two years to build and was a key innovation for the gameplay in FIFA 12 along with Tactical Defending. In FIFA 13, First Touch Control, Attacking Intelligence, and Complete Dribbling are the big game changers, as they all take gameplay to a new level of realism and player awareness. The second generation of the Player Impact Engine expands physical play from just collisions to off-the-ball battles between players which creates a true battle for possession across the entire pitch." LL: We featured an interview with Sid Misra about the reboot of FIFA Street back in April and even scored the game well. What mechanics or lessons have carried over from the Street series that can be found in FIFA 13? KD: "FIFA Street had a great dribbling feature called Street Ball Control where a player could hold the ball up and make quick dribble touches to bait a defender into making a tackle. In FIFA 13, we took this idea of close ball control with ultra-responsive touches and implemented it in a way that is authentic to eleven a-side soccer. With Complete Dribbling, for example, we created hundreds of new dribble animations that move the ball deftly using the sole of the foot in any direction, all while facing up to an opponent. When used effectively, these dribble touches can be linked together and combined to wrong foot an opponent giving you space to make your next move." LL: Obviously balancing the improvements and changes of so many leagues can be challenging. How does the team keep up with player movements, league growth and account for that in game? More specifically, Major League Soccer is improving at an impressive rate. How do you track that progress and reward FIFA players who use MLS squads? KD: "We have a large Database Collection and Licensing team, comprising of hundreds of analysts working all over the globe, who focus on getting the most accurate and up to date player attributes and team playing styles into the game. Major League Soccer is fully licensed within FIFA 13 and the top players have been head scanned and motion captured in order to make them more realistic in game. 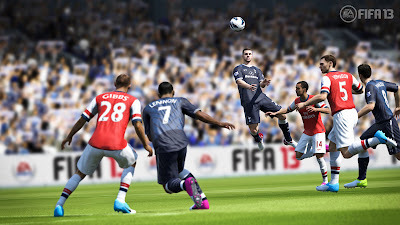 With FIFA 13’s new Match Day feature, real-world form, injuries, and suspensions will also be reflected in-game throughout the entire season. We do our best to get the most accurate data for every league and team in the game, and following Major League Soccer closely is big part of that process." 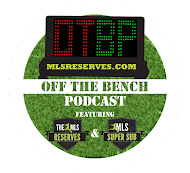 LL: What type of relationship do you have with Major League Soccer as far as developing player models, creating authentic jerseys and skill sets per team? KD: "EA has a strong relationship with Major League Soccer and the individual clubs within it. We have a partnership with the Vancouver Whitecaps, for example, which gives us the opportunity to work closely with all players within the club. We recently had Jay DeMerit and Alain Rochat in for a motion capture shoot where we captured new animations for tackles, clearances, and blocks." "Being able to work with professional soccer players from the MLS is an important part of achieving the high quality of animation that FIFA is known for. On a league level, we are incorporating the MLS All-Stars in the game this year and we are rolling out some exciting activities closer to launch on September 25." 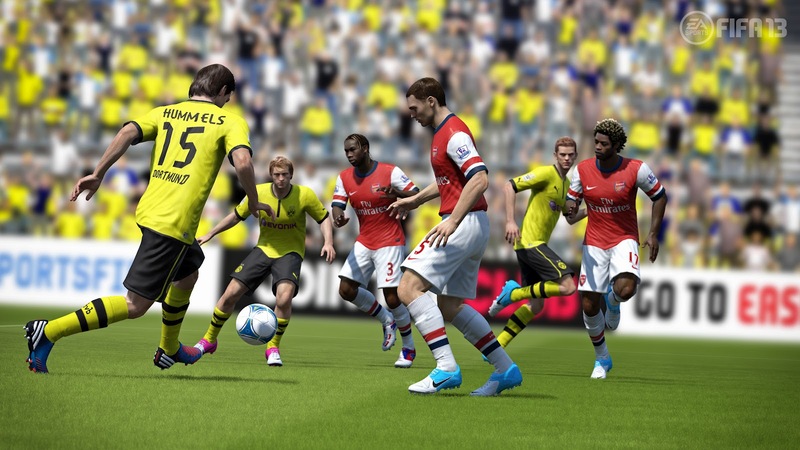 LL: Is FIFA 13 running on the same game engine that drives FIFA 12 and FIFA Street? KD: "We’ve been evolving and refining the FIFA game engine for over six years now. We decided to share the same game engine as a base for FIFA Street, and then created new features on top of it. Since both teams worked closely and collaborated during the development cycle, we were able to re-integrate several of the technical advances made on Street, such as improvements to the Player Impact Engine, back into the core FIFA game engine to use for FIFA 13." LL: How do you account for and respond to fan feedback for a game with the popularity and reach that the FIFA franchise seems to have? KD: "Fan feedback is extremely important to us. We gather as much feedback as we can by reading reviews, community blogs, and forums to find out what people think of the game. Every year, we ask the FIFA community what’s most important to them and what they feel needs to be improved. We create huge lists of these suggestions and ideas, along with our own, and then prioritize each one in terms of importance and feasibility. Knowing what’s most important to the FIFA community gives us a better understanding of what we should put our focus on to make the best game possible." LL: Is this the same development team working on FIFA 13 that worked on FIFA 12 and FIFA Street? KD: The development team that worked on FIFA 13 has been working together for the last six iterations of FIFA. The FIFA Street team was part of the family, developed by members of the FIFA team who brought with them a wealth of experience. Once the development of FIFA Street wrapped up, we took all of the knowledge and experience gained from FIFA Street and used it to make FIFA 13 even better. LL: How do you keep fresh ideas and improvements to the franchise, particularly with the growing number of skeptics about annualized franchises in the gaming industry? KD: "We’re constantly looking for ways to improve FIFA and come up with new and innovative features that bring it closer to the beautiful game. Our inspiration comes from watching soccer (we’re all huge soccer fans here), listening to fan feedback, and playing video games (we all love video games too). It’s important for us to stay up to date with what’s going on in the world of soccer. For example, if Neymar pulls off a new skill move that everyone is talking about, or if Balotelli does a celebration that becomes iconic, we make sure to get it into the game." "Focusing on the fundamentals is also very important to us. When creating First Touch Control, we had to get to the details of how a ball is controlled and analyze the different factors that contribute to a poor touch versus a good one. Factors like incoming ball velocity, ball spin, weather conditions, player attributes, and many more, all add up to create a variety of realistic outcomes during every first touch in FIFA 13. By making sure that every first touch is context-sensitive, FIFA has become a much deeper and immersive experience where no two games are ever the same." LL: Why should fans of the series pick up FIFA 13 if they already own FIFA 12? KD: "Once you play FIFA 13 you won’t be able to go back. The biggest thing you’ll notice in FIFA 13 is that the intelligence of your AI controlled teammates is vastly improved. The AI will offer support by opening up passing channels, curving their runs to stay onside, and thinking two plays ahead to create fluid attacking moves. First Touch Control is another feature that completely changes how FIFA is played as it brings a new level of realism to how players control the ball." "By eliminating the near-perfect touch that all players had in previous FIFA titles, you’re now much more engaged in thinking about one of the most important aspects of real soccer, how to take your first touch. This gives you more opportunities to win back possession of the ball when defending, and it also gives you the ability to pull off some amazing volleys when in attack. 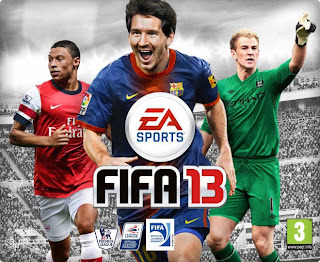 FIFA 13 is the best game we’ve ever created, and the only way to really find out is to give it a go and see for yourself." FIFA 13 releases on September 25th across multiple platforms including Playstation 3, Xbox 360, Wii U and iPad. Det var en ljuvlig morgon...fina minnen att vårda! Kram till er alla där i grannlandet!